HubSpot has announced a partnership with video creation platform Shakr to launch StoriesAds.com, a platform that helps marketers create video content for Instagram’s vertical format. The platform is designed to provide advertisers and marketers the tools they need to build Instagram videos from a web browser. With its emphasis on visual context, it’s no surprise that Instagram has become a huge platform for B2C companies. 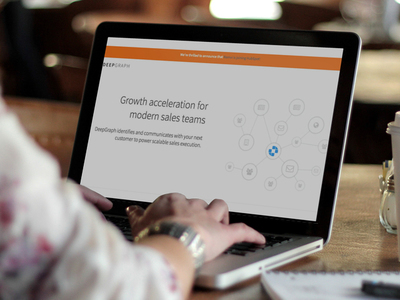 But when I started thinking about how the channel could benefit B2B companies, I had to pause. I understand why most B2B companies turn to Twitter and LinkedIn to engage with followers. A major con for Instagram is that it doesn’t allow the user to include direct links in their captions like they can with Twitter and LinkedIn, which essentially means companies can’t direct their followers to their websites. That’s OK! 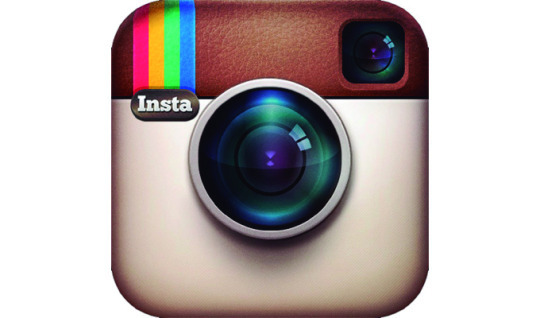 Instagram is still a valuable channel for B2B companies, if they play their cards right. You have to think of Instagram as a “wind down” platform. Users go on it to sit back and enjoy beautiful images, not to be pitched a new solution. So B2B companies should save those types of posts for Twitter and LinkedIn, and use Instagram to engage with followers, potential buyers and prospects in a more casual manner. This is what will drive the relationship and encourage them to constantly think of your company. Here are five ways B2B companies could rule Instagram, with some examples from major players in the game who are doing it right. A hashtag that accompanies images of company life and culture is a great way to showcase the people behind a brand. 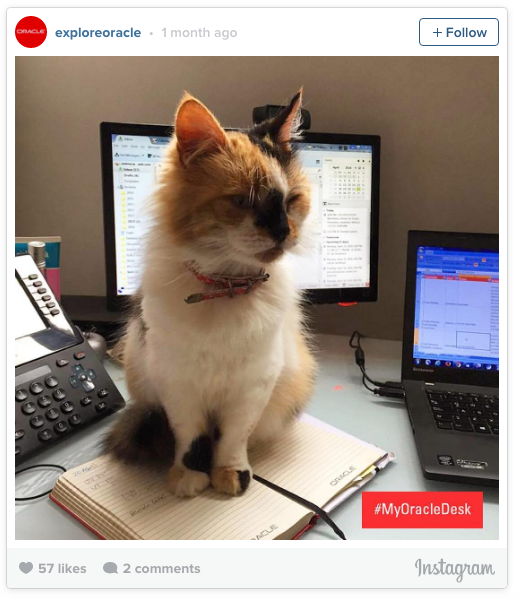 For example, Oracle’s #lifeatOracle hashtag displays company events and volunteer work, while the company’s #MyOracleDesk hashtag highlights employee engagement from their point of view. These fun images will help personalize your company’s Instagram and consolidate images from multiple company and employee Instagram accounts. 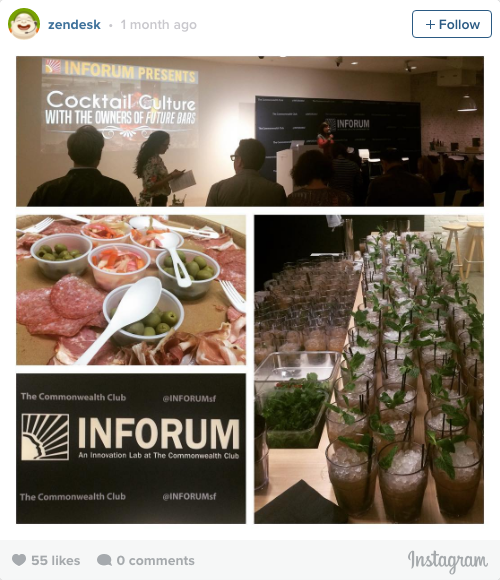 Hosting or sponsoring an event? Use Instagram to promote what’s going on inside a conference to show people what they’re missing, and to get them to attend in the future. Take it a step further to highlight restaurants and activities for your attendees to check out after event hours. Learn from your followers by hosting a giveaway that enables them to share their experiences. 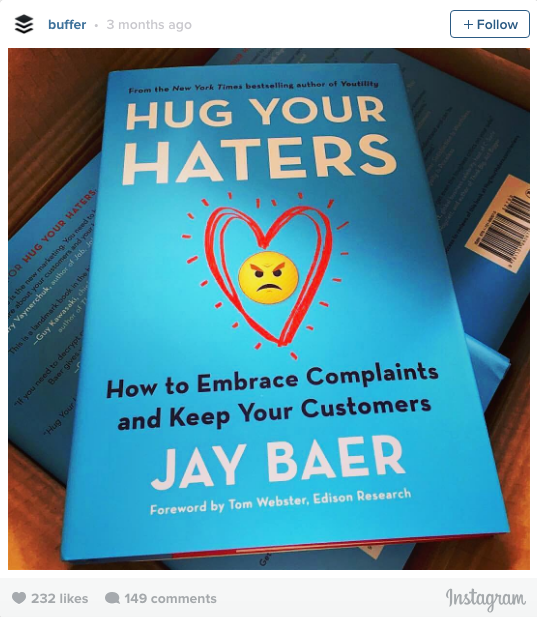 For example, Buffer asked followers to share their customer service experience through emojis to score a book. Highlight employees and partners by letting them take over your Instagram account. This will show off your relationships with people inside and outside the company, giving potential prospects a look at what it’s like to have you on their side. Also, no matter who you are, posting images of animals is sure to be a hit on Instagram. 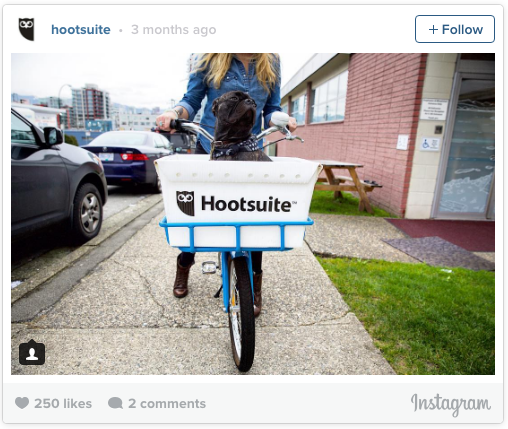 If your company allows pets at the office, why not show them off by letting the little critters take over your Instagram account, as Hootsuite has done? If your company has a mascot, make it the star of your Instagram. 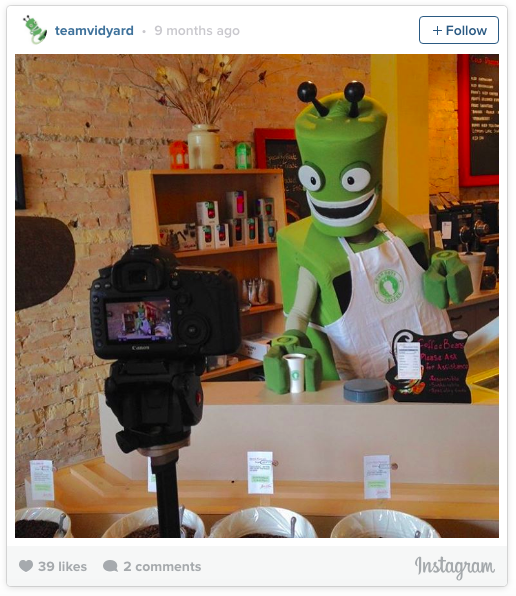 Vidyard provides sneak peeks into new content they’re creating by posting photos of their mascot Vbot on the job. This gets followers, clients and prospects excited for what your company has planned in the pipeline. Is your company doing anything unique to engage with their followers on Instagram? Tweet us at @DG_Report! Salesforce launched its integration with Instagram, positioning marketers to engage with customers on Instagram across its suite of Marketing Cloud products. The tools involved in the integration are Social.com for managing and advertising campaigns, Active Audiences to sync CRM data for display ad campaigns, and Social Studio for social publishing, engagement, customer service and analytics. Analyze: Social Studio enables marketers to analyze conversations on Instagram, understand community feedback, sentiment and trends to optimize their strategies. "As Instagram says so eloquently; images are a universal language," said Scott McCorkle, CEO of Salesforce Marketing Cloud, in a blog post highlighting the announcement. "Salesforce is now excited to offer marketers the opportunity to extend their reach to customers on one of the most engaging channels in mobile, and coordinate those efforts with every other channel in the customer journey."